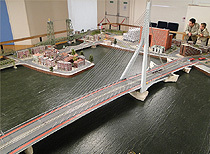 Combine your visit to Miniworld Rotterdam with an interesting tour around the historic cruiseship ss Rotterdam. On this legendary ship of the Holland America Line you will amongst other things visit the bow, the wheelhouse and the captainscabin. With an audiophone and a groundplan of the ship you can explore the tour in your own pace. For children there is a special audio-tour available. The tour on the ss Rotterdam for the most part takes place in the open air and lasts about an hour. For the actual visiting hours of the ss Rotterdam visit the website. Combine your visit to Miniworld Rotterdam with the 185 meters high Euromast. At Miniworld Rotterdam you see the Euromast in miniature and from the Euromast you see Rotterdam in miniature from the viewing platform. Free admission for children to 2 years old at Miniworld Rotterdam and Euromast. You don't have to book in advance for this combination. You can buy this combiticket at Miniworld Rotterdam or at the Euromast. Combine your visit to Railz Miniworld with miniature Golf and enjoy a worthwile & active day out in Rotterdam! Miniature Golk Parkhaven is located on a beautiful and romantic spot in the middle of the city of Rotterdam. It's hidden in a nice green environment at the foot of the Euromast. Also enjoy a drink and a bite to eat. 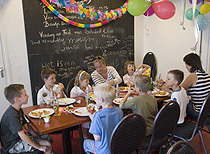 The mentioned prices are prices including admission to Miniworld Rotterdam. Tickets are available at the entrance of Miniworld Rotterdam and Miniature Golf Parkhaven. 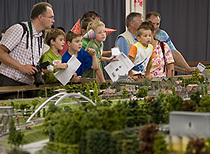 Combine your visit to Miniworld Rotterdam with a discount on your ticket for Splashtours. Splashtours offer a unique city tour through Rotterdam. A tour with this special amphibious tourbus is an unforgettable experience for all ages! In 75 minutes of the tour you first see the most special and beautiful locations of Rotterdam. Then the splash comes : the spectacular dive into the river through Rotterdam De Nieuwe Maas. The tourbus turns out to be a seaworthy boat, that shows you the impressive skyline of Rotterdam from the unique view from the water. Splashtours takes place on a to be reserved date. Your ticket is only valid on the day of the splashtour experience. Sale only via the special reservationsystem of Splashtours online ticketsystem. No reservation is needed at Miniworld Rotterdam. 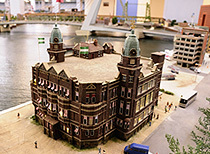 Check the visiting hours of Miniworld Rotterdam. Children under 3 years visit Miniworld Rotterdam for free. Spido is ready to take you on a tour through the Port of Rotterdam. For a brief but strong impression of the harbours you can join the Rotterdam Harbourtour of 75 minutes. You can get a combiticket for this tour and a visit to Miniworld Rotterdam with a discount. These combitickets are only valid on the same date as the Spido Harbourtour.